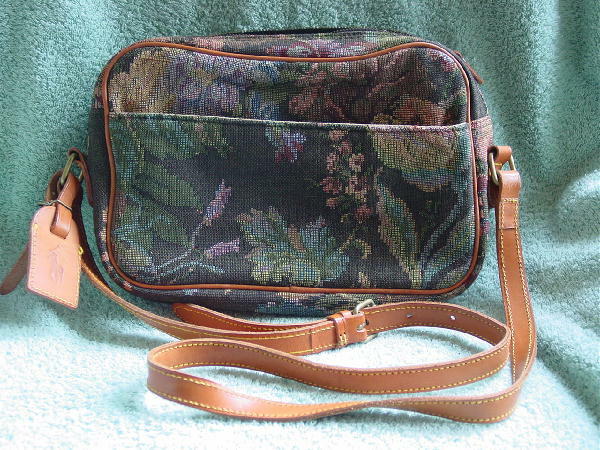 This never used fabric purse has a faux needlepoint floral design and is by Ralph Lauren. It has a top side to side zipper with a little leather pull and a front 3/4 open lined section. It has a tan leather with yellow stitching 44" long adjustable shoulder strap. There is a mini leather polo luggage tag (3" high by 1 3/4" wide). 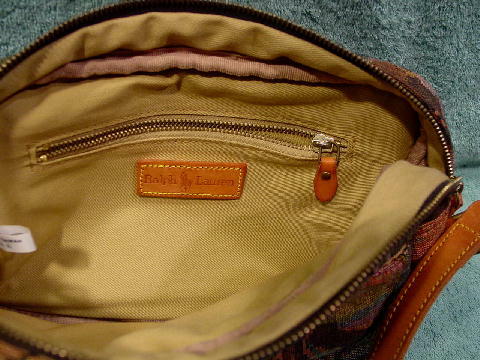 The interior lining is in a light khaki-tan color. It also has an interior zippered section with a little leather pull. 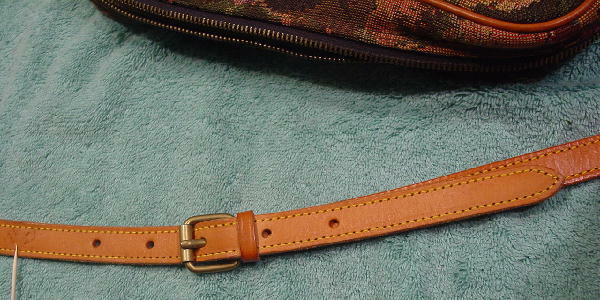 The strap has a group of surface indentations, as well as a light area around the second hole and a dark line mark (from the brass buckle) behind the third hole. It's in dark olive, browns, yellows, blues, peaches, pinks, and reds. She said it had never been used, because the photo shoot had been cancelled.